WeChat is killing my baby! 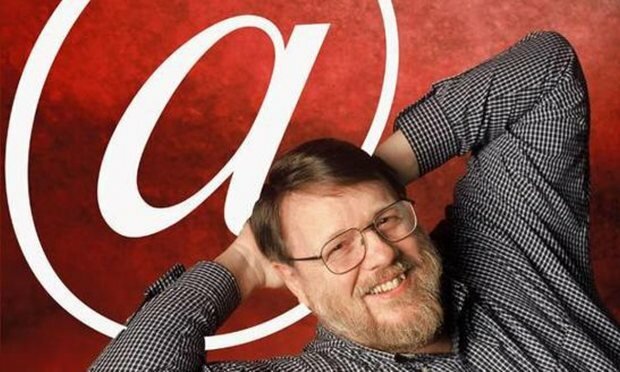 Following email inventor Ray Tomlinson’s death last week, we ask if WeChat’s irresistible rise could spell doom in China for his 1971 brainchild. Email’s fortunes in China have been dictated by the tides of technological change. By the time China was permanently connected to the Internet in 1994, instant messaging services like OICQ (the original name of QQ) were available and readily adopted. 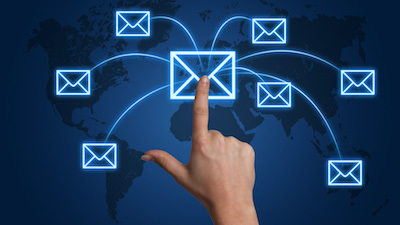 The relatively few personal email addresses created were usually unappealing and unmemorable sequences of random numbers. The torrent of smartphones that flooded the market in the late 2000s gave the Chinese a platform on which to exert their penchant for instant messaging. The rapid rise of Tencent’s WeChat app saw generation after generation embrace text and voice messaging, all the way up to the elderly, most of whom had never had an email address. These days WeChat has firmly established its supremacy, exposing many of emails shortcomings in the process. Where email once replaced paper mail for its speed, WeChat is faster still. Where email inboxes have become crammed with spam, WeChat organises desired bulletins into a tidy subscription section. Where email was acclaimed as a non-invasive alternative to a phone call, WeChat voice messaging offers a personal touch and listening at leisure. Whereas an email address was once required to sign up for services like online banking, flight booking or topping up mobile credit, WeChat requires just a phone number and debit card to make use of all these services and more. Though email did gain traction in business throughout China’s boom years, internal and inter-company communications are increasingly taking place via WeChat. Documents, films and files are sent and opened on the phone or desktop site. Though anachronistic paper business cards are clinging on, QR code scanning means you potentially may never know a contact’s email. Instead of long email chains with multiple colleagues on cc, WeChat groups can be handily saved as an address book contact, with the @ function directly alerting desired recipients. Most significantly, WeChat conversations are beginning to be saved, archived and trusted as legally liable records. There is, however, still confusion to clear before email is consigned permanently to the recycle bin. WeChat’s broad functionality has seen it pervade all aspects of personal and professional life and the boundaries have become blurry. 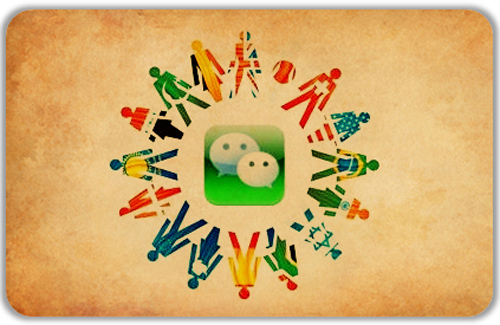 In most businesses, WeChat has not yet been ratified as an official business tool. Checking your mobile at work was once a sure sign of slacking. Is it now a job requirement? With the boss alongside friends in your address book, it is unclear when the working day ends and social time begins. Communication itself can also suffer. 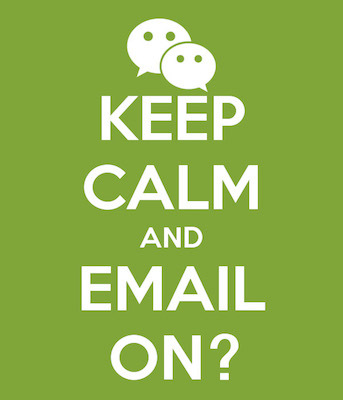 Whereas an email chain is understood to be a professional exchange, work discussion in WeChat groups can succumb to the casual attitude we apply to social conversations on the same app, while important memos are easily missed in the constant deluge from a heaving address book and subscription accounts. Interestingly, the tools responsible for the death of Tomlinson’s creation – Facebook, Twitter and WeChat – have appropriated the iconic @ symbol that he bestowed upon his creation. When Tomlinson meet his invention, he may take some comfort that his will not die, rather be reincarnated.